I decided it's time for a new, more fun header here on the blog. I used one of my favorite fabrics (Ziggurat by Schumacher) that went with my already navy and light blue layout. 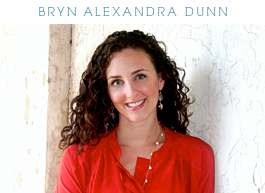 When people ask my what my blog is named, I always just tell them "Bryn Alexandra" which is my first and middle name. So I simplified things and made that the blog "title". Besides, the blog is mostly about me, my home and my life.. and I post about my interiors when I get the chance. As Tim Gunn says, carry on! Love the new header, and Bryn is one of my favorite names ever (by the way)! Hey Bryn! The header is gorgeous! Any tips on how to create one for blogger newbies like me? Love the new header Bryn! it's a beauty! nice choice!